Time and money are valuable resources for electrical companies. Working efficiently is not enough to sustain savings on both. You need continuous process improvements to lower your overhead and increase overall productivity. For instance, have you noticed how many man-hours you lose on cutting struts to their correct sizes? Your workers have to take a few minutes to several hours just to trim down strut channels with electric or ordinary hacksaws. You may have tried to speed up the process by investing in power saws for the purpose. But handling carbon blades can be very dangerous, which adds to your safety risks. Aside from the risks, you will also have to deal with human error. Even your best workers may let the cuts wrong. After all, strut cutting and assembly are not part of their main job. It is simply something they have to do in preparation for their important tasks. With every miscalculated move, you have to discard trimmings that you paid but didn’t use. The odds of wasted materials are even greater with inexperienced staff. Training them to handle strut assembly better will be another cost item in your books. Improving your processes, including handling strut, doesn’t have to drain your reserves. 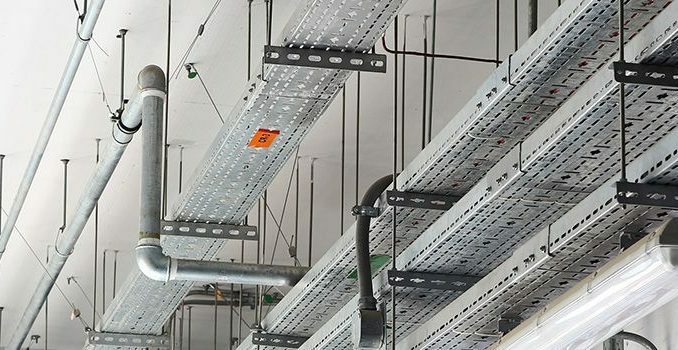 Organizations that specialize in strut cutting and assembly can do more efficient electrical jobs, which can save you valuable time and money. Prefabrication facilities make a science out of cutting strut to customized lengths. They have trained teams and proprietary tools dedicated to the jobs you’d rather not deal with anymore. Specialized prefabrication companies like Electrical Wholesalers (EW-CT) have streamlined the procedure of pre-cutting a strut assembly. Now you can simply step back and focus on your own company goals while the tedious cutting job is done for you. Custom Cutting. Struts are trimmed to your specified sizes in climate-controlled prefabrication facilities. Kitting the Order. Component struts for one job or project are designed to fit seamlessly. Bundling. The assembly is bundled as one package for quick access and installation. Storage. They safeguard your materials until you need them. Shipping. Get ready-to-use assembly as soon as you receive the package. Forget about scrap disposal requirements. Increase your margins with lowered overhead costs. Have more time to complete projects and make your clients happy. Never again put employee safety on the line for strut cutting and assembly. With all these benefits, switching to precut strut assembly is easily the most logical and financially-sound decision for your organization. Contact Electrical Wholesalers now to save time and money while increasing your productivity.